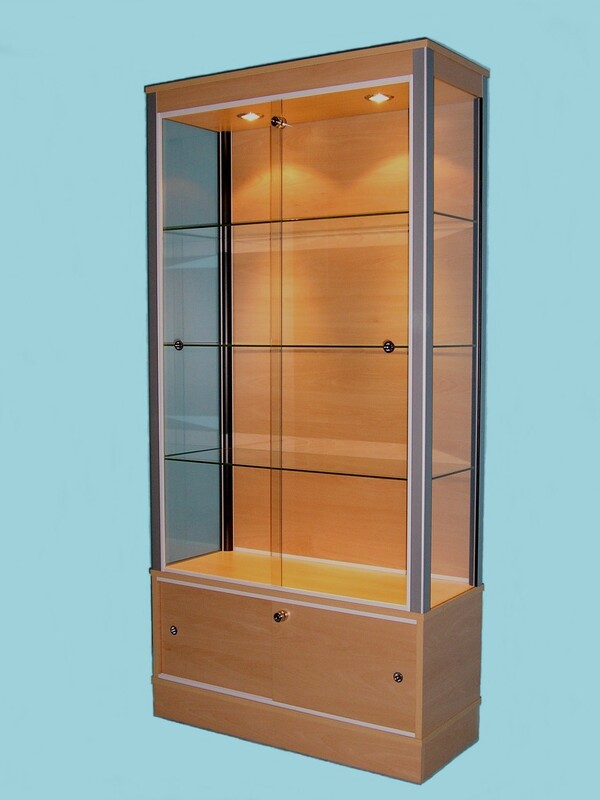 Glass Storage Display Cabinets with all the classic display features and style of our full glass display cabinets these very attractive Storage Glass Display Cabinets are a popular choice with retailers who enjoy the benefit of being able to store further merchandise and product packaging directly below their display. The standard range all come fully assembled with a choice of finishes from our very popular range of board finishes and all include high security locks and halogen lighting as standard. 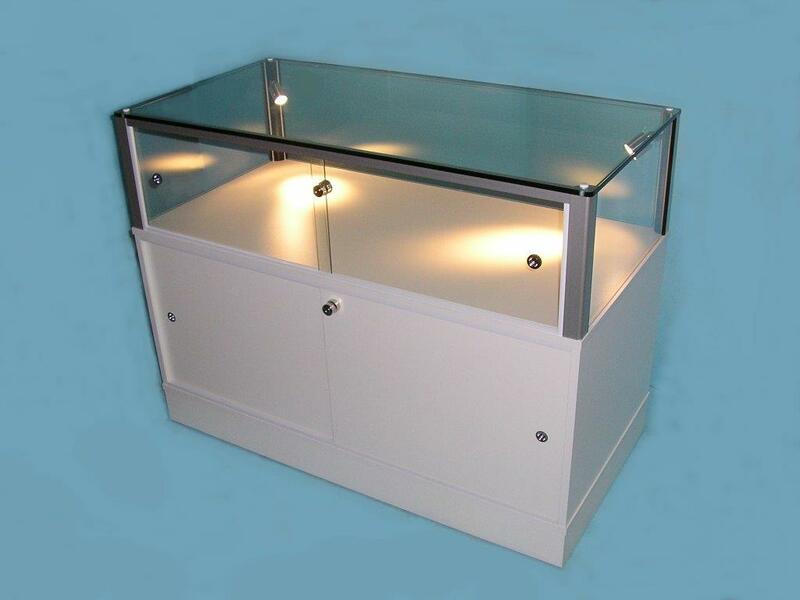 Further options include bespoke sizes, additional adjustable corner post lighting or even our superb LED lighting, and with shelf spacing set to suit your needs during manufacture we can offer you a truly amazing list of possibilities to choose from. It is perfectly feasible to have the cabinets ‘open fronted’ where security is not a concern without compromising on the structure and stability of the cabinet. 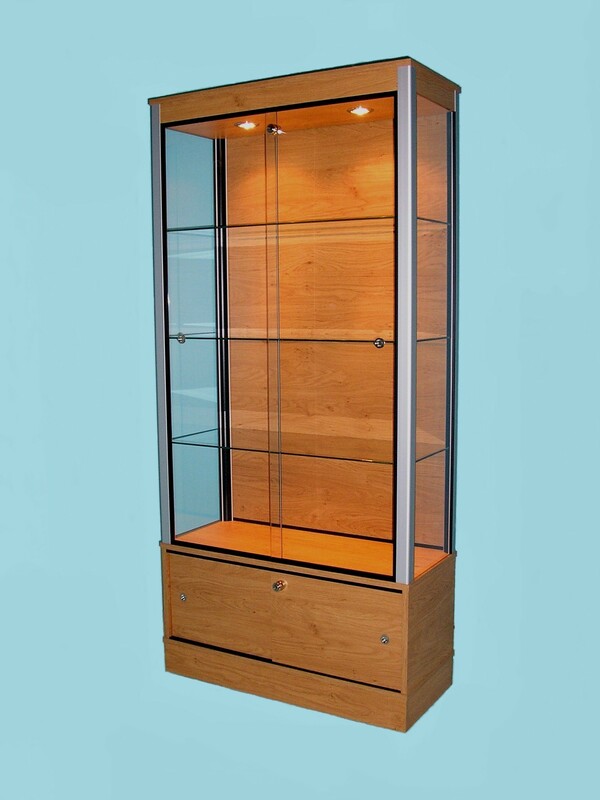 Stunning satin silver aluminium corner posts contrasted against our carefully chosen range of finishes give a really stylish looking glass display cabinet, combined with exceptional load bearing for the glass shelves make them not only stunningly beautiful but also extremely practical. 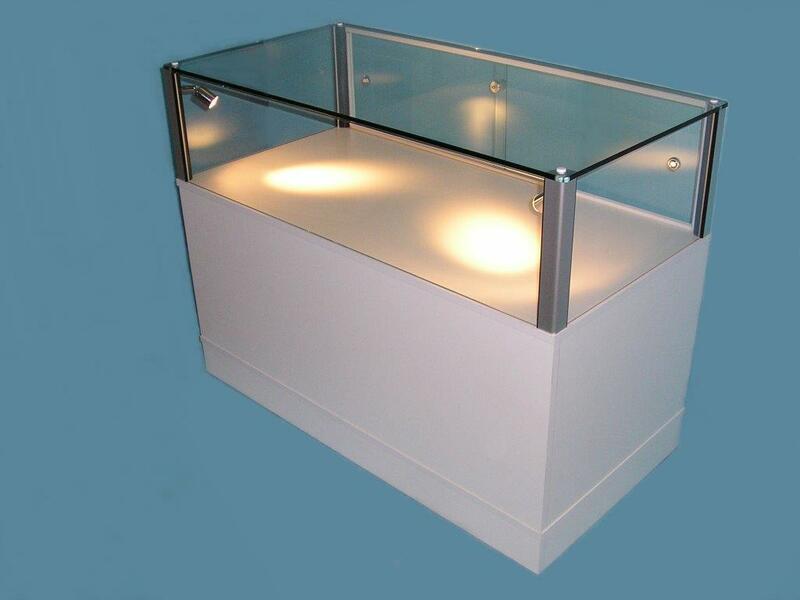 3 x Toughened safety glass shelves.